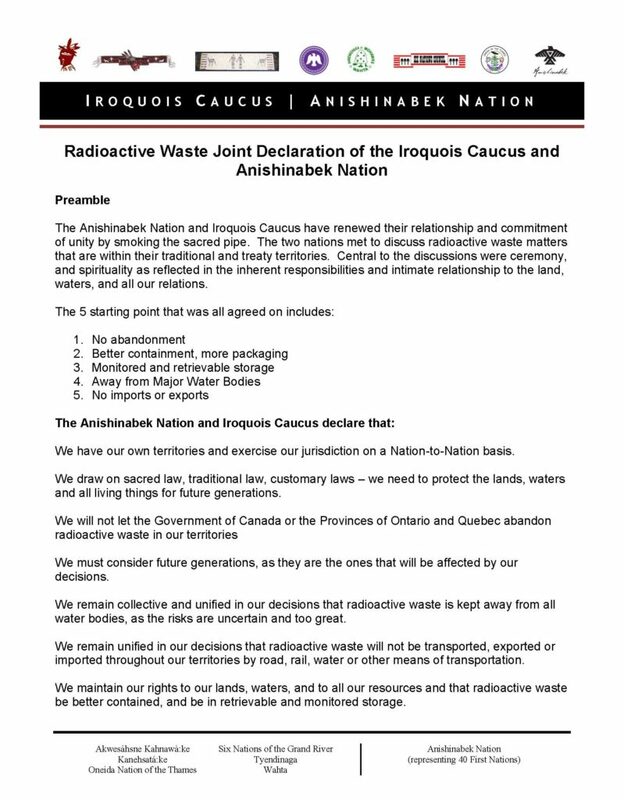 (Kahnawake – April 21, 2017) The Iroquois Caucus and the Anishinabek Nation wish to announce that they have issued a Joint Declaration regarding their serious concerns regarding the transportation of highly-radioactive liquid waste on their respective territories (see below). Additionally, a joint letter to Prime Minister (see below) was sent to Prime Minister Justin Trudeau yesterday advising Canada of our concerns in these matters. 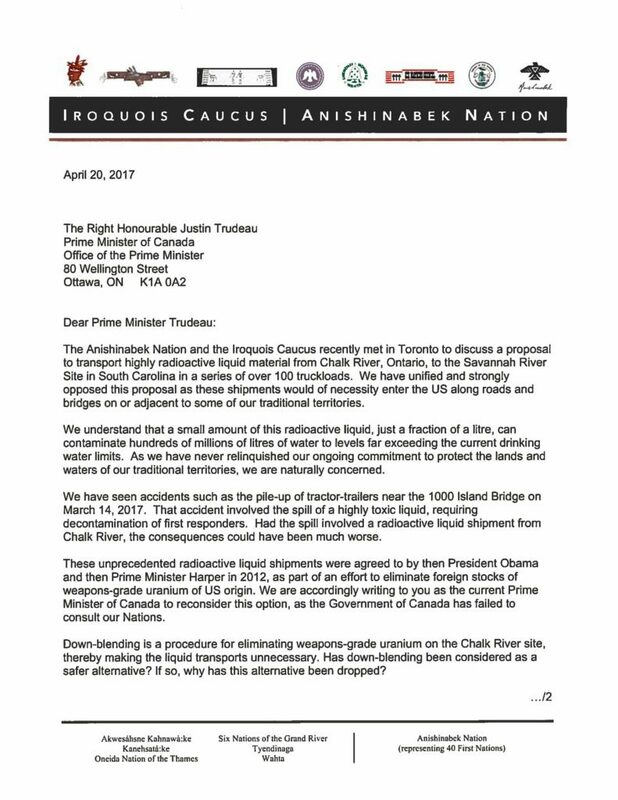 The letter was signed by Kahnawà:ke Grand Chief Joseph Tokwiro Norton on behalf of the Iroquois Caucus and by Grand Council Chief Patrick Wedaseh Madahbee on behalf of the Anishinabek Nation.